The Best Zero Waste blogs from thousands of top Zero Waste blogs in our index using search and social metrics. Data will be refreshed once a week.Also check out Top Zero Waste Youtube Channels list for Top videos on Zero Waste. Zero Waste newsletter is a comprehensive summary of the day's most important blog posts and news articles from the best Zero Waste websites on the web, and delivered to your email inbox each morning. To subscribe, simply provide us with your email address. Facebook fans 9,221. Twitter followers 8,676. San Francisco, CA About Blog We are responsible consumers who buy in bulk, avoid disposables, and minimize our overall ecological footprint. Facebook fans 1,154,878. Twitter followers 514,846. Perth, Australia About Blog Steps towards a sustainable lifestyle: plastic-free and zero waste, real food and recipes, minimalism and simple living. Facebook fans 16,207. Twitter followers 4,018. Chicago, IL About Blog A journal of trash-free life in Chicago, with simple and practical tips for zero waste, sustainable living. About Blog Read the Green family's blog about reducing the amount of waste sent to landfill each week.The overall purpose of this blog is to help householders reduce the amount of rubbish sent to landfill. Their aim is to inspire and educate other people to reduce their landfill waste as much as possible. Facebook fans 5,259. Twitter followers 6,248. Oakland, CA About Blog We offer sustainable, eco-friendly, plastic-free products for your zero waste lifestyle. Facebook fans 1,507. Twitter followers 60. Athens, GA About Blog zero waste. plant based. and all things ecofriendly. Facebook fans 1,002. Twitter followers 2,128. About Blog Reduce waste to save money and the environment with Zero Waste Week! Facebook fans n/a. Twitter followers 8,181. About Blog Welcome to The Zero Waste Memoirs - pour yourself a cup of coffee and get cozy. We're all about farmer's markets, eco-friendly living, and pretty zero waste jar collections around here. Facebook fans 1,256. Twitter followers n/a. About Blog Hi, I am Shia! I am all about simple, effective, and first and foremost doable zero waste hacks! Facebook fans 10,062. Twitter followers n/a. About Blog A blog filled with tips and tricks on how to begin a Zero Waste lifestyle and reduce your overall waste. Facebook fans 10,599. Twitter followers 9. Pensacola, FL About Blog A zero waste and homesteading blog changing the world by skipping one plastic bag at a time. Facebook fans 227. Twitter followers 626. London About Blog ECO BOOST is a blog and YouTube channel where Kate Arnell shares awesome people, places, brands and general discoveries with an eco twist. Facebook fans 1,132. Twitter followers 741. Gippsland, Victoria, Australia About Blog Tammy Logan is the author of Gippsland Unwrapped, a blog committed to the pursuit of plastic and waste free living. Based in Gippsland, Victoria Tammy combines her experience in conservation biology and community engagement with her dairy farming roots, to deliver a humble and honest approach to plastic and waste free family life. Facebook fans 7,446. Twitter followers 422. About Blog Hi! Green Indy is a blog about zero waste, minimalism, and generally being less of an a**hole to our Earth (Indianapolis, specifically) by me, Polly Barks. Canada About Blog Our mission is to make the Zero Waste lifestyle fashionable and accessible to everyone. Because it is time to take sustainability seriously. PAREdown Home Website is Canada's number one site for information on living Zero Waste; sharing DIY tips, our favorite brands and products and stores across Canada. We live Zero Waste and our goal is to inspire you to do the same. Facebook fans 2,881. Twitter followers 510. Köln About Blog Zero Waste Lifestyle is ... buying without packaging. Zero Waste Lifestyle is ... avoiding as much plastic as possible. Zero Waste Lifestyle is ... not throwing away but giving away. Facebook fans 5,215. Twitter followers 278. Ballito, South Africa About Blog It’s a bit of everything but mainly focuses on zero waste. Montreal About Blog Laure Caillot is a zero waste mom in Montreal. Observer of the web and trigger of images, she shares her advice and her failures for a way of life towards zero waste. Global About Blog A supportive community of Zero Waste Bloggers around the world! About Blog Simply Zero Waste live blog, updates, tips, tricks and interesting things. About Blog zero-waste life. no trash. no plastic. kind planet. Canada About Blog Zero Waste Canada is a non-profit that advocates for a zero waste future. Facebook fans 8,975. Twitter followers 1,815. About Blog A guide to reducing, reusing, recycling, and composting for just about anyone! Start exploring the easy ways you can convert your lifestyle to zero waste! About Blog I'm an event planner by day, eco-warrior around the clock. Jane Simple is a window into my zero waste world. Facebook fans 4,631. Twitter followers 2,000. Ireland About Blog Zero Waste Alliance Ireland promotes a circular economy where waste is no longer tolerated and resources are valued for a lifetime of use and re-use. Facebook fans 736. Twitter followers 197. About Blog zero waste Netherlands, zero waste, durability, waste, no waste, plastic free, plastic free, life without waste, sustainable blog. About Blog On my lifestyle. Pets, college, minimalism, zero waste living, and self improvement. About Blog Xtreme Zero Waste is a community enterprise, using business as a tool to meet the needs of our community. Xtreme Zero Waste is contracted by Waikato District Council to operate weekly kerbside collections and the Raglan Resource Recovery Centre. At approximately 75% diversion from landfill, we are turning Raglan’s waste into resources and moving forward to zero waste. Los Angeles, CA About Blog Sharing tips and tricks for living a zero waste life. Facebook fans 1,054. Twitter followers 813. Cologne About Blog Living a Zero Waste Life in Germany isn't easy but possible. And it's fun! How? Visit my blog. Facebook fans 408. Twitter followers 136. Bangalore, India About Blog Saahas focuses on providing end-to-end waste management solutions to bulk waste generators. We offer consultancy services to plan and design a waste management facility for new properties We work with companies to aggregate and support a reverse logistics system in line with their sustainability policy. Facebook fans 10,803. Twitter followers 885. Facebook fans 929. Twitter followers 630. North East, England About Blog A page linked to my blog, Spot of Earth, where I write about our journey towards a more eco-friendly family life in rural County Durham. Facebook fans 281. Twitter followers 424. About Blog Holly is on a mission to bring integrity into corporate business practices. While the IMPACT and Zero Waste in ACTION blogs’ audience is the corporate community, the Evolved Integrity blog speaks to personal challenges while navigating the Earth’s energetic shifts. About Blog A place where I can share my journey to zero-waste: the frustrations, challenges, and successes that come along for the ride. A place to network with others who have started and are maintaining the same journey, to share resources, and to get that much needed support when you can’t find it in your closest circles! To Zero-Waste! And all the pretty things that come along with it. About Blog My name is Lisa and I hail from the wonderful city of Adelaide, South Australia (Allegedly the world’s fifth most livable city!). I started my journey to zero-waste this year (March 2015), and have found that it has helped me in more ways than one. About Blog Going green one baby-step at a time. About Blog 617 kg was the amount of waste per person in Germany in 2013. Up to 13 million tons of plastic wasteland in our oceans every year. Since you have landed here on the page, you are certainly below already mentioned average, but how about this: Do not produce garbage! Zero waste! You can find our alternatives here on our blog. About Blog "Less waste" is the name of my blog. I blog about my experiences in trying to produce less waste in everyday life. San Francisco About Blog Eco Love is a green travel blog that promotes healthy living and zero waste... conserve, reuse and upcycle! Facebook fans 555. Twitter followers 828. About Blog This blog documents my adventures in green living & minimalism in Dublin and San Francisco. I hope I can inspire you to make even small changes that will make both your life and the earth a happier one. About Blog Going for zero waste? No Trace makes beautiful bags, wraps, and linens to help you go green. About Blog I created my blog in 2014 mainly to document my zero waste journey. My main goal is to share things that I have tried to become more zero waste and minimalist. About Blog The best information about living a waste free life in Baton Rouge and the surrounding areas. Chicago, IL About Blog Hi, I'm Candice - a South African living in Chicago. My blog focuses on thrifty re-visions, re-makes and re-do's, fondly referred to as ReFABS! I work hard to find actual projects, not just inspiring images. Reducing waste through upcycling, repurposing, refashioning and reloving. Facebook fans 1,932. Twitter followers 524. 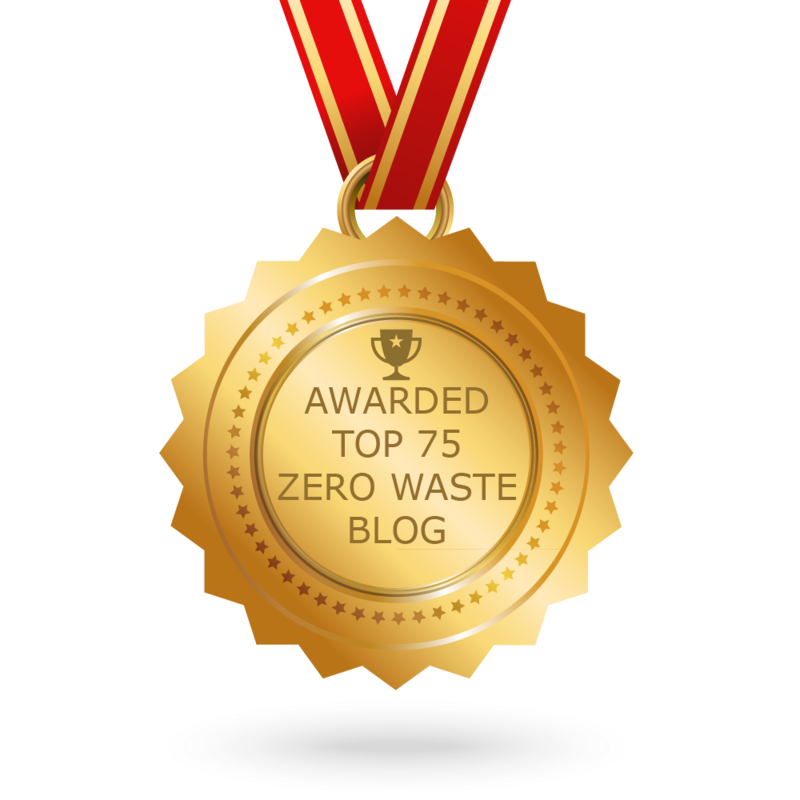 CONGRATULATIONS to every blogger that has made this Top Zero Waste Blogs list! This is the most comprehensive list of best Zero Waste blogs on the internet and I’m honoured to have you as part of this! I personally give you a high-five and want to thank you for your contribution to this world.